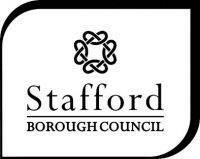 Residents, businesses and voluntary sector groups from across the borough are being asked their views on a new plan to tackle homelessness in Stafford Borough. Stafford Borough Council has launched a consultation to update their current Homeless Strategy. The new strategy will take account of recent changes in the law and government guidance. The Borough Council has been highlighted nationally for its work to reduce rough sleeping and prevent homelessness. This includes being mentioned in the House of Lords, interviews on national and regional television, and high profile parliamentary visits to Stafford. They were also the first local authority in the Midlands to reach the Government’s gold standard for their work preventing homelessness. Rough sleeping in the borough has halved since 2016. Among the initiatives was the introduction of a ‘Community Matron,’ dubbed the angel of Stafford by rough sleepers, and ‘Housing First’ – a project that places homeless people into permanent accommodation and then provides a programme of support to help them get their lives back on track. The new proposals follow a borough-wide review and have highlighted a number of priorities to prevent and relieve homelessness. Councillor Jeremy Pert, Cabinet Member for Communities, said: “We are one of the leading authorities in the country for our work in tackling homelessness and rough sleeping – but that does not mean we are resting on our laurels. Now local people and businesses have until Thursday 20 June to give their thoughts on the Homeless and Rough Sleeper Strategy (2020 – 2024). To find out more, or to take part in the consultation, go to www.staffordbc.gov.uk/homeless-and-rough-sleeper-strategy-consultation. You can also get more details about the strategy from the Council’s housing Options team housingadvice@staffordbc.gov.uk.